Let's "Tweet Up" before we take off for Vegas! We will be discussing all kinds of things from questions about the conference to which songs MUST play at Friday Night's party. It's a great way to make some connections and ask questions before we arrive. Plus, there will be prizes. Please link up your twitter page below (not your blog), so other attendees can follow you! 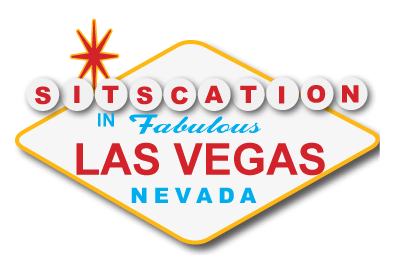 Not attending SITScation? Join in anyway! Sponsored by House Party, Inc. Peek in whenever you can! Can't wait to meet you in Vegas! I am so sad that I will not be able to make it to the twitter party, but a certain friend and I are going to be on a train form NY that night. I'll tell you all about it on Friday! It's going to be a wild and crazy week for me! Now I just have to remember to log in on Wednesday. My short term memory stinks! Dang kids! I sooo hope I can be there! I'm excited that I'm able to help out too! The link to the custom grid page... is this all we need? Or do I need to also install Tweetdeck to my computer? And can't wait to meet everyone on Friday!!! how do I use the grid? I hope I can join in since I can't make SITScation! I will try to pop in the Twitter party, but have to get up at 4:30 am for flight to Vegas on Thursday, so 10pm might be bedtime for me!! Do you have to follow everyone to be able to see their tweets or will the link just put us together? So I'm listed twice for the Twitter party #52 [I logged in incorrectly so don't use this and #65 [this link seems to be correct]. I'm so not the social networking linking one thing to another woman at all, so please bear with me.